Still high up on the hill above Dare Valley Country Park, fresh growth of yet more species of fern. Triangular upland form of D dilitata? Interestingly the fern has minute stalked glands on the leaf surfaces and the mid rib and down turned leaf edges. 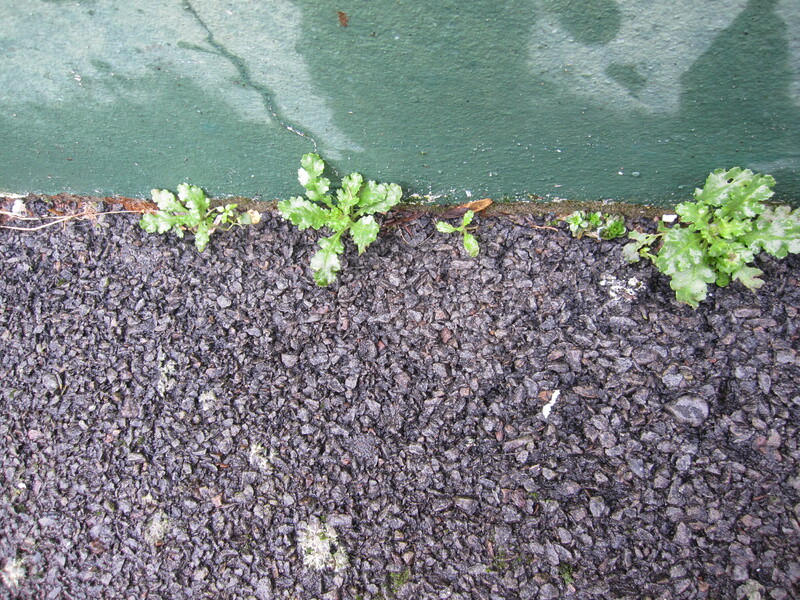 This is in contrast to Dryopteris aemula which has upturned pinnule margins, sessile glands and dark petiole. In order to provide comparison here is another Buckler fern, Dryopteris carthusiana. This has 3 -pinnate leaves but has uniform coloured scales and the lowest pair of pinnae are shorter than those above it. The leaves are more parallel sided than D dilitata. Another member of the Buckler fern family. It is a male fern and lacks the dark junction to the rachis which makes it either Dryoperis filix mas or Dryopteris oreades. 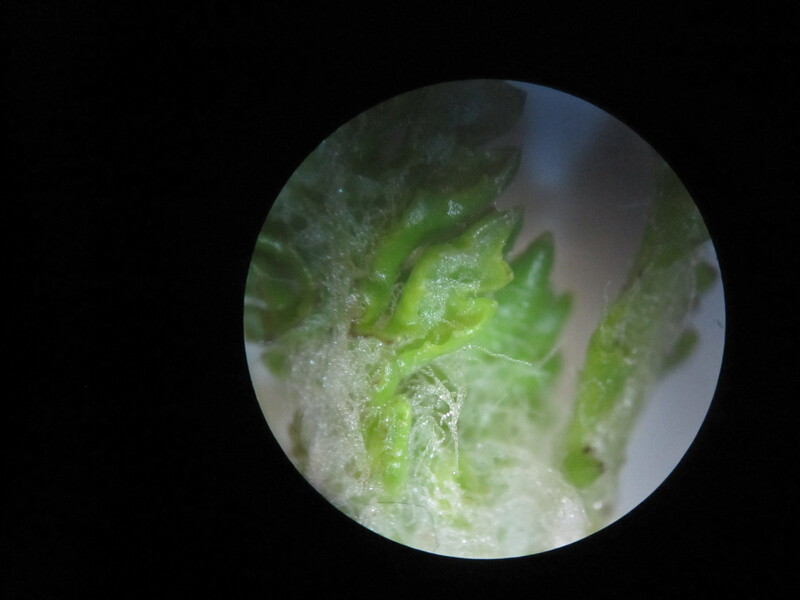 This one has minute glands on the stem and the edges of the indusium suggesting it is Dryopteris oreades Mountain Male Fern according to Stace (1997). In amongst some of the scree slopes are small numbers of Polypody. These are probably going to be Polypodium vulgare or Polypodium interjectum and may require microscopic examination to confirm identification. Where I live in South Wales its noticeable how much shorter the growing season is compared to places at lower altitudes; bluebells for example have only just really got going in the last week. Traditionally one of the Lily Family Liliaceae, that are characterised by having flower parts in 3s and parallel veined leaves, this large family has now been divided into different families. Bluebell Hyacinthoides non-scripta is now a member of the Asparagus Family Asparagaceae. 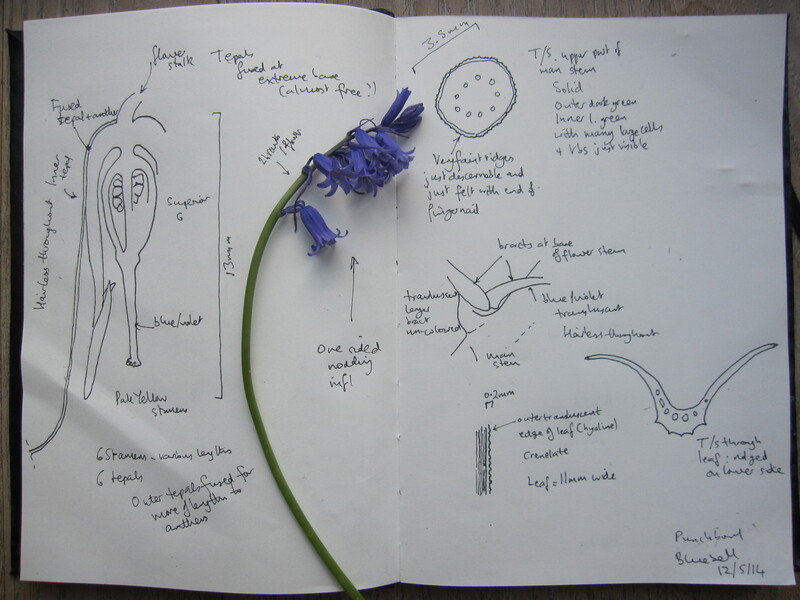 A useful table of features between the different bluebells is found here. 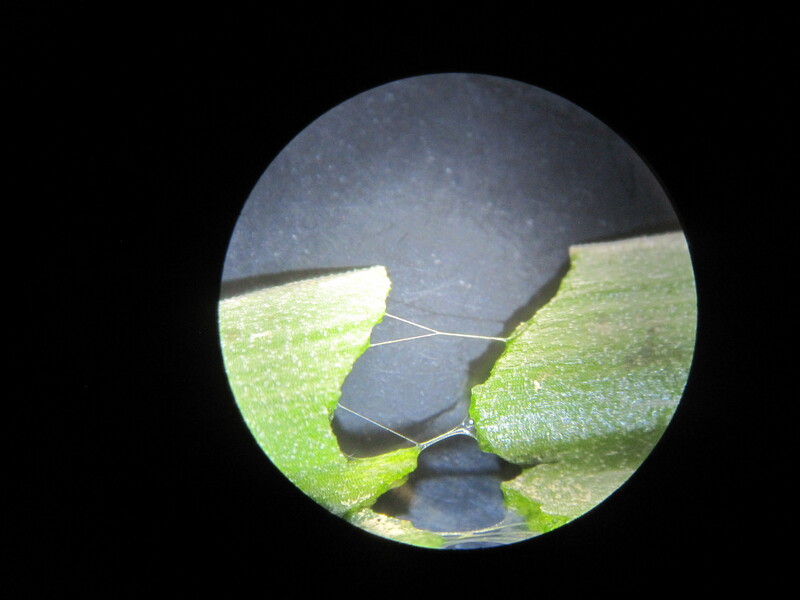 Poland and Clement draw attention to there being viscid spiral fibres present when the leaf is torn. The leaf edges are hyaline (translucent) and blunt toothed or crenelate. The underside of the leaf has fine parallel ribs running along the centre. Spring is already over! Some small white Brassicaceae. I took this photo of Common Whitlowgrass Erophila in flower in April and wanted to go back and photograph them in situ, but when I went back earlier this week they had already fruited and died. 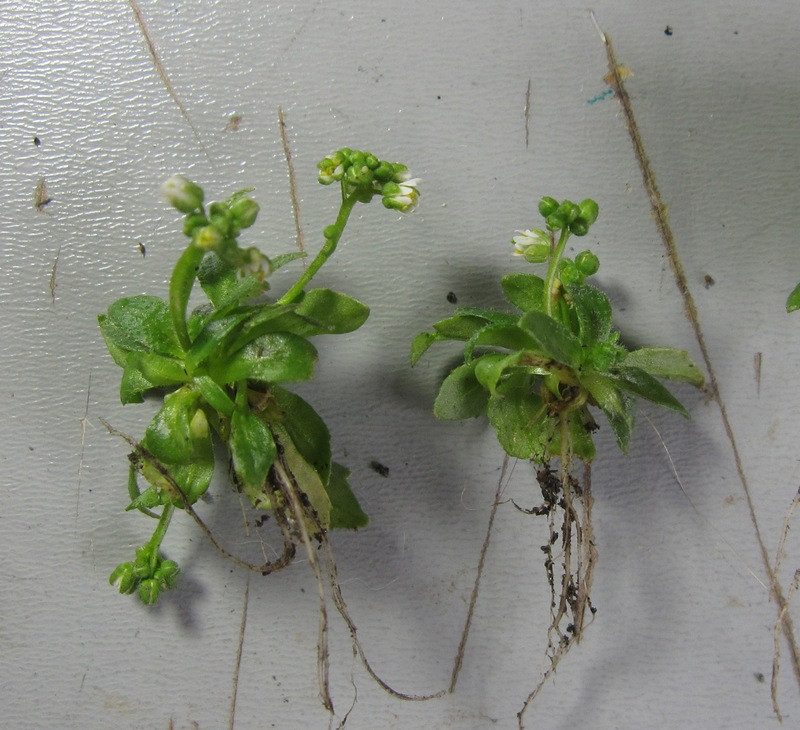 Like other members of the Brassicaceae, Erophila have 4 petals but these are deeply divided (bifid). The leaves are also contained within the basal rosette and there are no stem leaves. 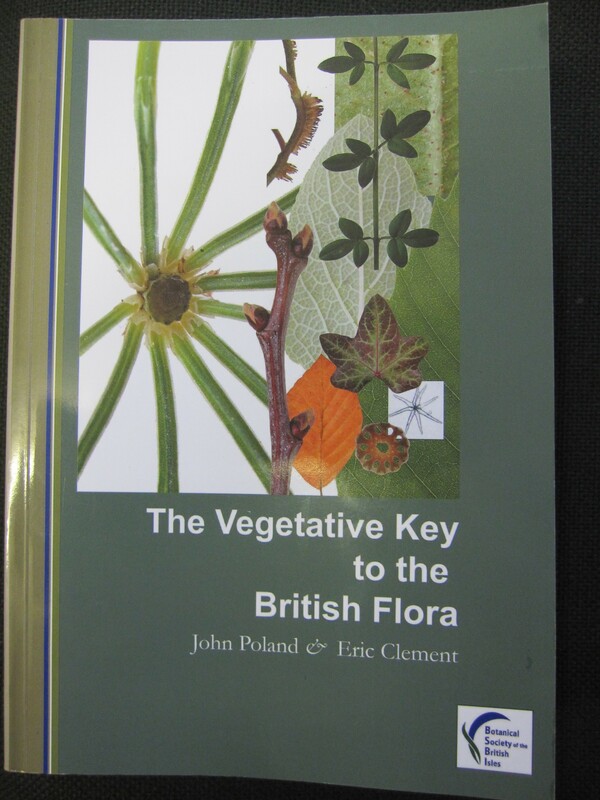 The Francis Rose key does not attempt to separate the species but merely says there are 3 species that can be called Erophila verna agg.. Stace describes 3 species E majuscala, E verna and E glabrescens. I don’t think I could attempt to identify these without fresh specimens so I will settle for E verna agg.. 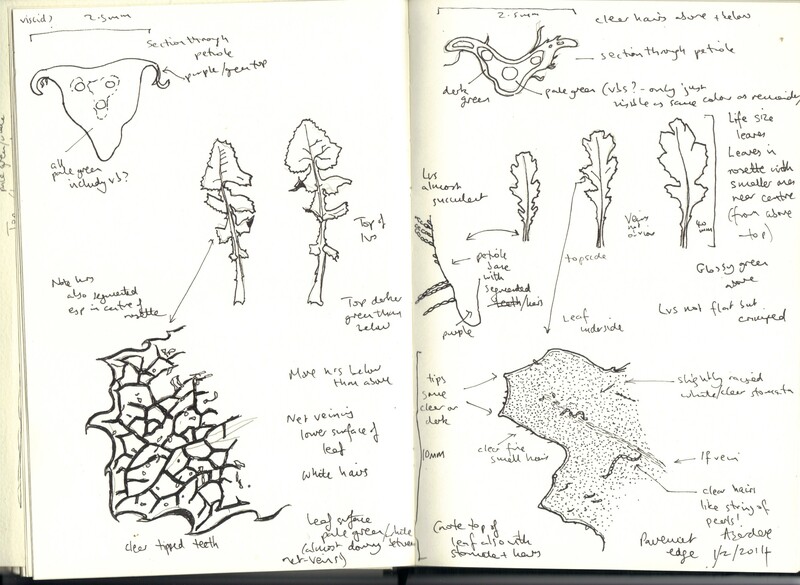 This is the sketchbook entry for what the plants look like now. All of the basal rosette of leaves has disappeared but the old Silicula are now prominent like tiny Honesty (Lunaria annua) fruits. 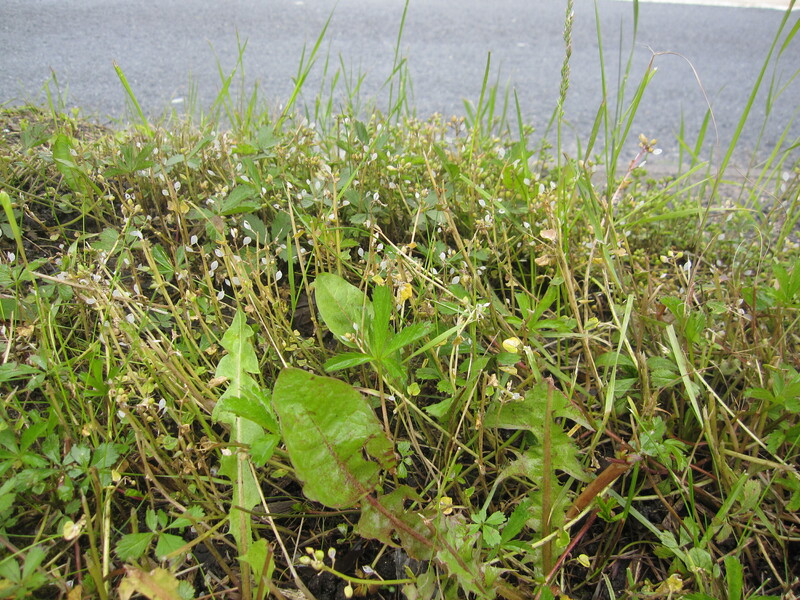 Another small plant that caught my eye at about the same time was this Scurvey grass Cochlearia, another member of the Brassicaceae which has spread along main roads probably encouraged by salting of the carriage way. Amplexicaul means clasping the stem. So I feel fairly confident in saying this is Danish Scurveygrass (Previously called Hastate Scurveygrass) Cochlearia danica but the conflicting information in the keys and descriptions make it harder for the beginner especially when the plant is not in flower. 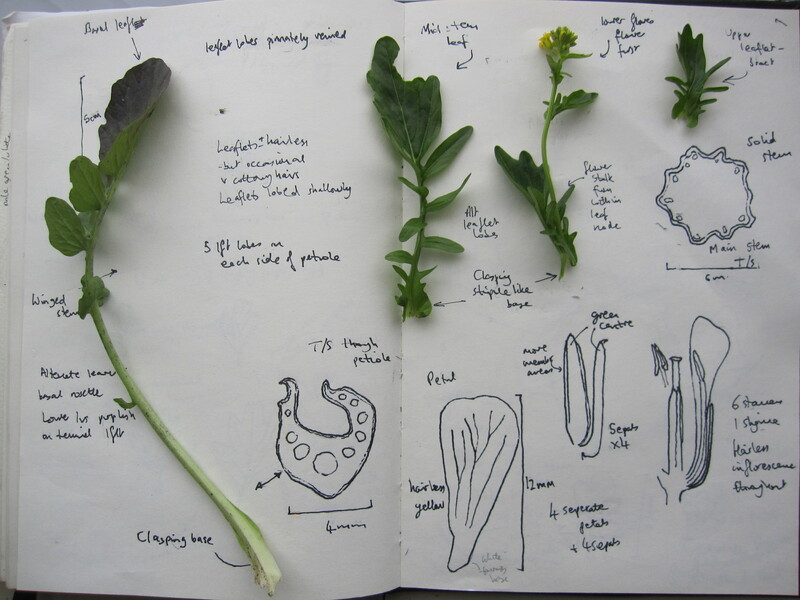 In the last post I used Poland and Clement to successfully identify the plant on the right side of the sketchbook as Senecio vulgaris. 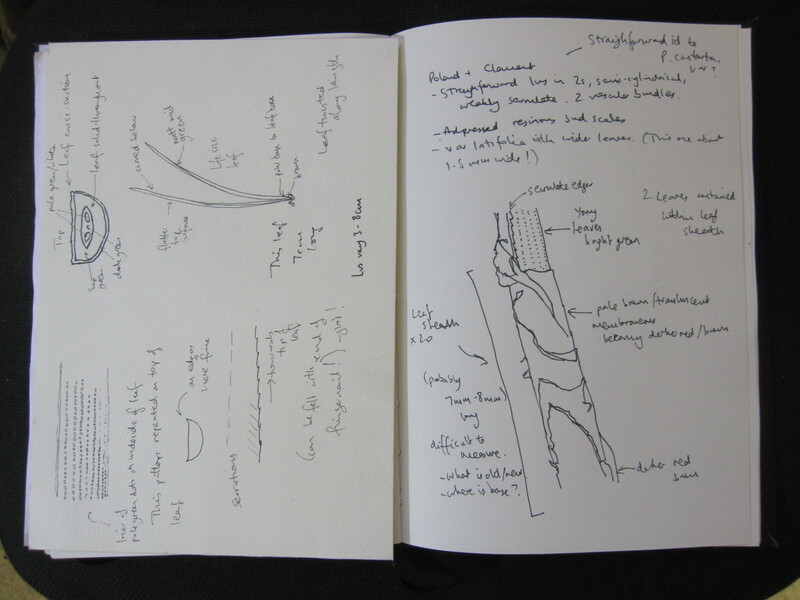 With the plant on the left hand page I went through the same process (Key to major Divisions) but failed because I incorrectly assumed the leaves to be compound (composed of leaflets) when in fact the leaflets are not distinct but joined by thin sections of leaf on either side of the stem, so they are in fact simple. Second time around having decided the leaves are simple, the most difficult part is to ensure you are reading the correct part indentations of the key. 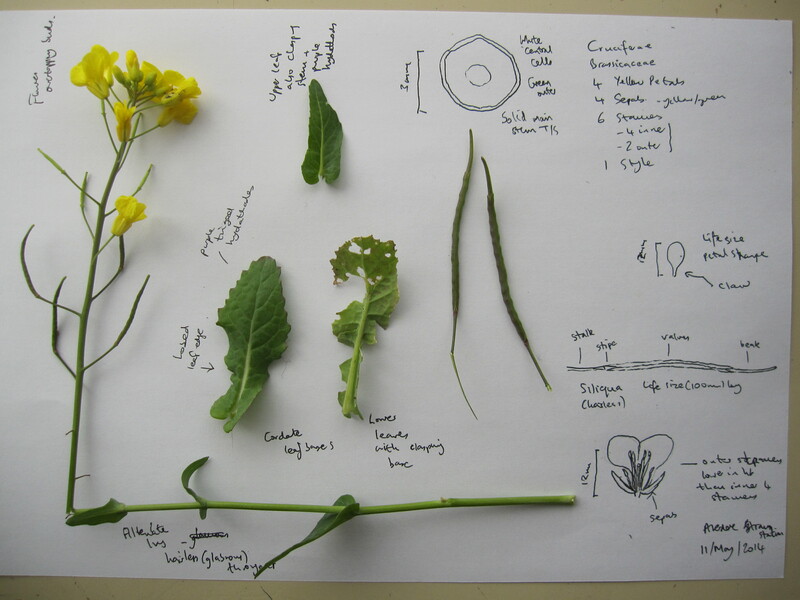 The next stage is to decide whether the leaves are toothed (but not lobed) or lobed (often toothed). 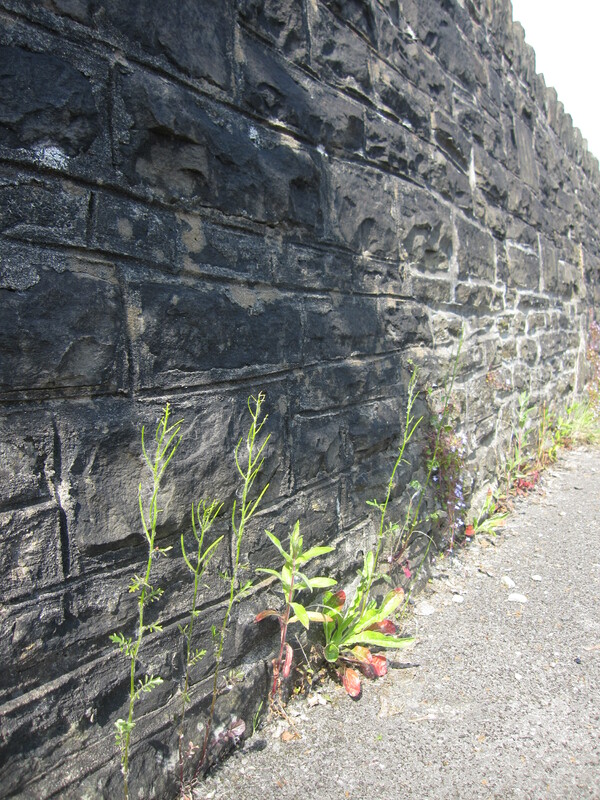 Presuming the latter then the Division is P (same as S vulgaris). Once in Division P the process is again fairly straightforward, though it does rely on deciding whether latex is present or not. I ended up cutting across the main stem to properly see the latex in my plant. Once the latex is detected the next stage is a careful look at the hairs, and the description of hairs and accompanying illustrations in this book are outstanding. 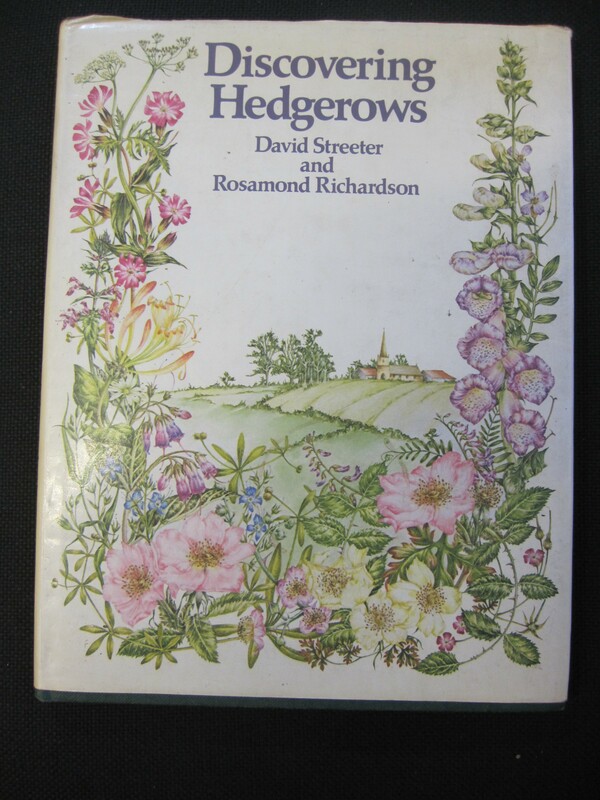 It prompted me to look again at the hairs on the edges of the leaves which are slightly downward pointing and sharp tipped (but not prickly to touch). In conclusion I think that this is a very useful book. I have tested it on two plants occupying the same habitat and from the same family, the Asteraceae. What is interesting is seeing just how similar they are, both having rosettes of leaves and cottony hairs when young, indeed both have moniliform hairs. The individual leaves are also lobed, not compound and the stem cross sections are similar but there are noticeable differences in the pattern of leaf veins. The presence or absence of latex is very important and time needs to be spent to ensure that it is not present. 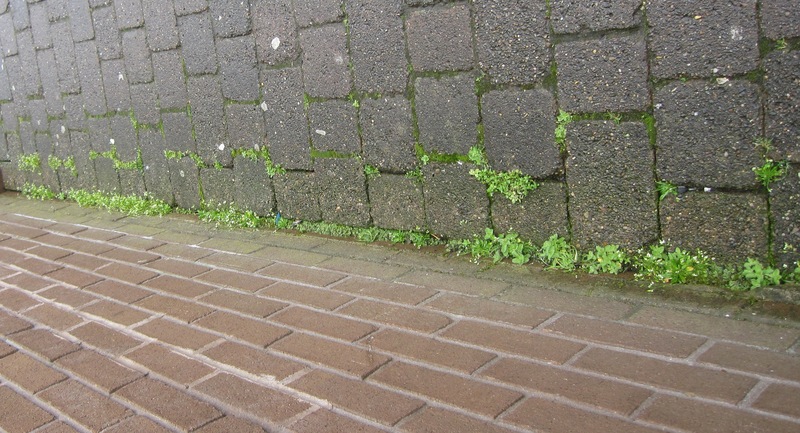 Plants living between the pavements and buildings exist in an extreme environment. 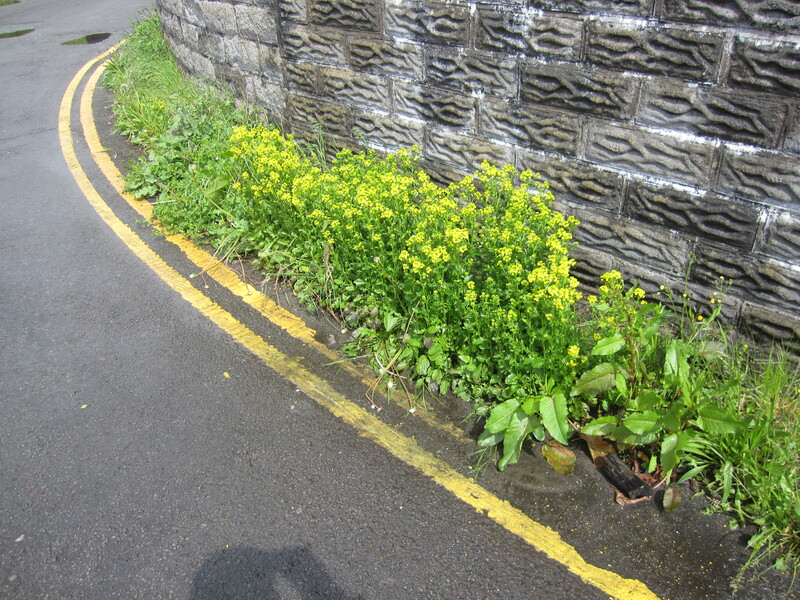 As well as having to grow where there is hardly any substrate, they may be subject to herbicide applications, rock salt, car exhausts, dog fouling, and trampling. There are massive fluctuations both in temperature and the availability of water. 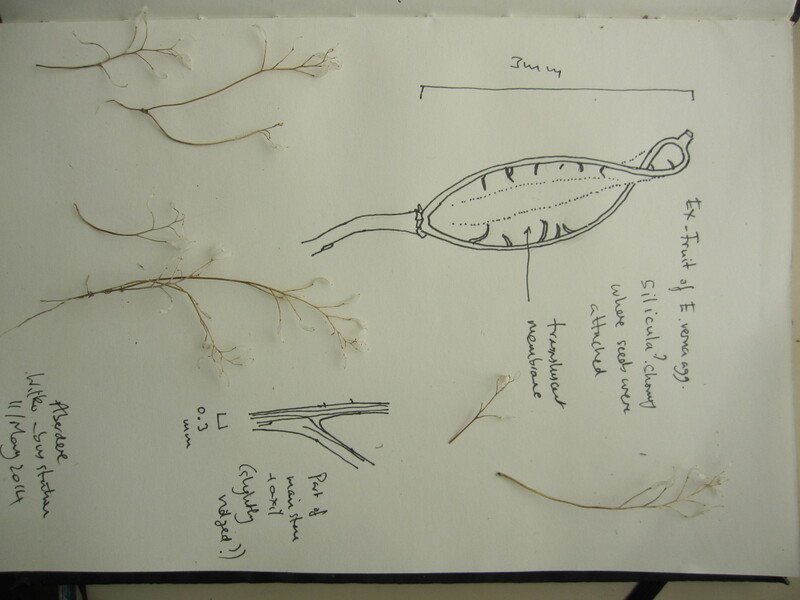 The sketch above is of two species that occupy exactly the same niche. 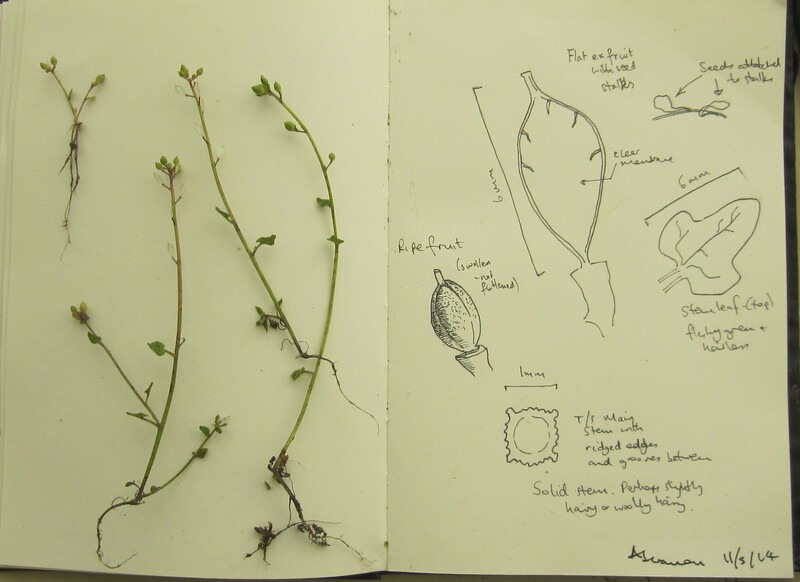 In this post I am looking at the plant on the right hand page of the notebook. which effect means that it starts with the simple leaves and goes on to describe the more complex ones,( horsetails, ferns. 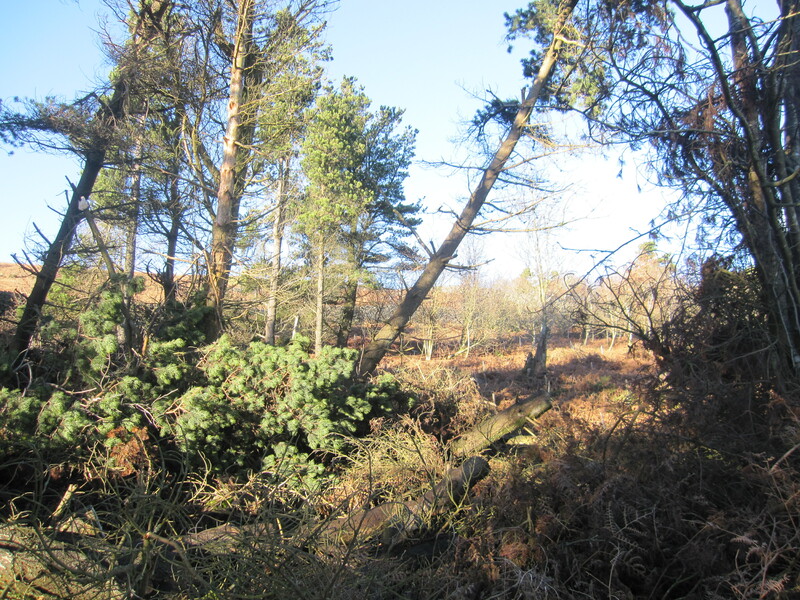 clubmosses and conifers are in the key but not dealt with in detail on this page). My leaf is simple in that it is not consisting of separate leaflets. Under the heading simple there are then 3 choices in the key; entire (margin without teeth, lobes etc. ); margin toothed, but not lobed and margin lobed (maybe toothed). As my plant clearly has lobes I then go to the next choice which is leaves opposite or alternate, and I think it is the latter which takes me to Division P. (Page 10 has useful notes on leaf arrangements). Divisions are arranged alphabetically so I am now at p 287. The first question is about latex and I am fairly sure there is none here so having established the plant is spineless the next set of choices is concerned with the presence or absence of stipules (of small appendages at the base of the leaf stalk or petiole). I can’t see any stipules so the decision comes down to hairs. Cottony or woolly hairs at rosette centre? Are these the cottony hairs at the rosette centre, I’m not that confident but I opt for Group PO. Now this is where it gets difficult to keep track of the indentations on the keys because this Group PO is spread over a couple of pages. I can see the leaves have septate (many celled, mine look like tiny strings of pearls) hairs that are without glands (Uses the term viscid without explanation; tacky/sticky?). 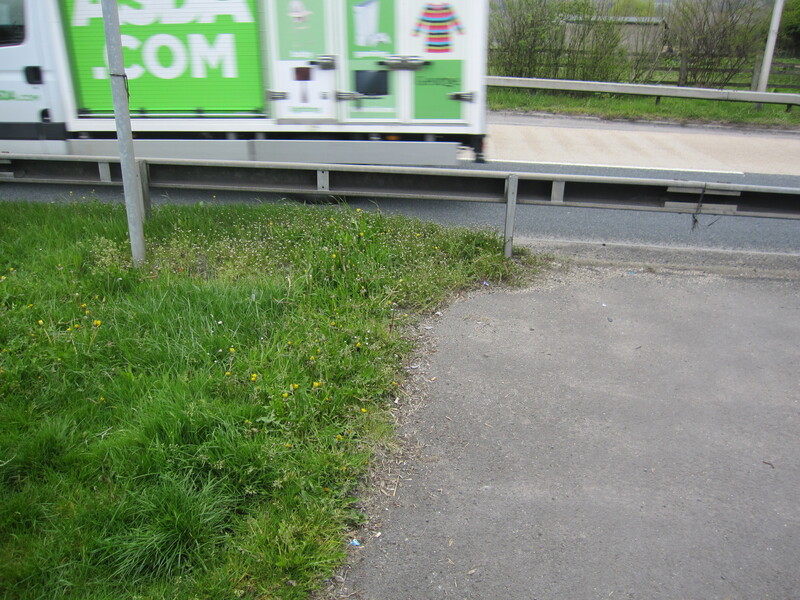 The choice is then between a perennial rhizomatous plant and an annual (rarely bi-annual) one. Its quite difficult to tell whether something is annual or perennial but it does say there are stomata on both sides of the leaf and as these are clearly visible, I plump for Groundsel Senecio vulgaris. So what have I learnt? Well this book certainly requires you to look closely at the plant, you have to be prepared to learn different terms, the key requires careful attention where there are more than 2 choices or where these choices are spread over several pages, the line drawings are very useful, but with a bit of effort it does work. 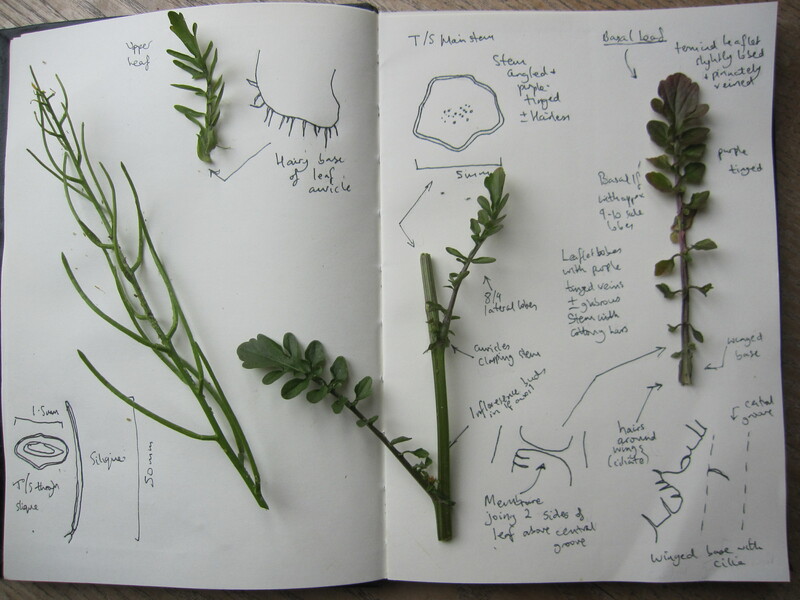 In the next post I will be trying out Poland and Clement on the plant illustrated on the left page of my notebook.